Contrary to current trends, our center does not seek to apply any “immediate-urgent” or a long time outdated yourself methods – we rely solely on progressive, safe and effective ways that have passed clinical trials and provide a stable positive result. Our rejuvenating plastic surgery of the face and neck consists mainly in the technique of endoscopic facelift and SMAS-braces. This methodology is actually the complete procedure for rejuvenation of problem areas. Developed and tested in the United States. Its essence boils down to the fact that when using this technique, a plastic surgeon can do without excessive cuts of the skin. Producing only small punctures, specialist enters under the top skin tissue mini camera and necessary tool. As a consequence of surgical sutures after such plastics are almost impossible to detect. For example, lifting in the area of the forehead requires only small punctures in the field of hair, which is quite enough for raising midface alignment folds and wrinkles (even the nasolabial triangle), to return the eyebrow on the same line and eliminate sagging upper eyelids. Adjustment of the lower zone of the face and neck can do micro-punctures in the area of the chin, which are then hidden in the natural folds and Saiva become inconspicuous. So liposuction and platysmaplasty. This is the technique of the so-called “surface plastics muscular aponeurotic system, which is the perfect alternative to the pervasive lift with large incisions layers of the skin. 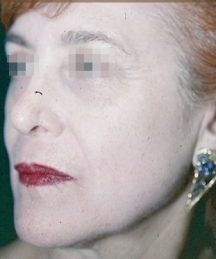 In contrast, SMAS facelift in order effectively and does not distort facial features (involuntary emergence of grin, the narrowing of the eyes and other ailments). This method takes into account the fact that age, first of all, fascia and muscle, why, and deformed, subsequently the fabrics. So SMAS-lifting requires the surgeon filigree, painstaking and incredibly high skill. We have doctors. Conducted lifting keeps rejuvenating result for 10-12 years without the need for additional procedures. Using these techniques can be carried out not only procedures, but also to combine them with the most appropriate type. 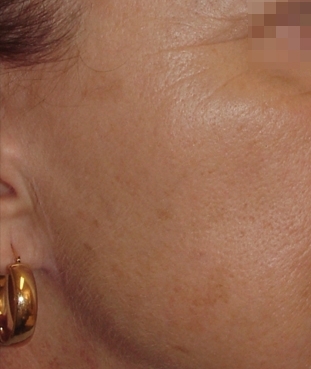 For example, when SMAS-facelift also is the removal of fat (usually from the cheeks). to restore the contour of the neck. The surgeons at our center have been trained by the best American and European physicians in the field of plastic cosmetology and mastered the latest techniques and adopting progressive experience. For all questions, connected with anti-aging plasticity and lifting You may contact us phone number: +7 (351) 751 10 62 or fill out the client registration form directly on the website. Check prices on plastic neck and face. Below are the pictures of patients before surgery andoskopicescomu lifting and after. Patient 2. 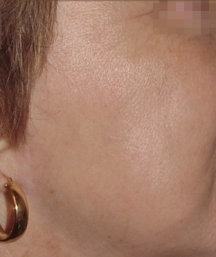 Endoscopic lifting of the neck (near the ears) – before and after pictures. The operation was conducted by the surgeon Salamina Elena, assistant Baryshnikov, Natalia Georgievna.